Grateful acknowledgement is made to Jill Magi for the use of her art for the Handmade/Homemade site (above)—“Tongues”, 2007. Photographs of 2013 exhibit by Fatuma Hydara. Inspired by a View-Master and pop-up books as a child, Thomas Allen became interested in recreating these three-dimensional experiences by using mid century books and pulp fiction paperbacks as still life subjects. Allen gently cuts around the shape of his figures, physically releasing them from their two dimensional surface, and then places them in a new display of meaningful interactions. His characters are brought to life from their pages and covers by detailed lighting and selective focus, ultimately telling a distinct narrative with their newly defined settings. He explores the human experience by exploring sexuality, desire, childhood and scientific norms. In his earlier work from Uncovered and New Releases, Allen portrayed unrequited love, dramatic sexuality, violence and dynamic scenes of movement. In Beautiful Evidence, Allen plays with the findings of science, the complexity of the universe, identifying with the wonder and innocence of childhood. With an offbeat and cinematic way of storytelling, Allen continues to create photography that is animated, contemplative and intriguing. Evelyn Eller is a native New Yorker, who attended a high school with a focus on art. One of her teachers was a student of Hans Hoffman. She then went to the Art Students League in New York for three years on a scholarship, taking classes with Morris Kantor and Will Barnet. She later studied in Rome on a Fulbright Fellowship and was a resident at Yaddo in Saratoga Springs, NY. She has worked in various mediums, oil and acrylic paintings, and printmaking, but her primary medium now is paper collage and artists books. She has traveled extensively. Her interest in travel and other cultures is reflected in the use of different languages in her artists’ books and language fragment collages as well as her landscape images. She has exhibited widely, nationally and internationally, at the Whitney, Queens and Brooklyn Museums in New York City, The Smithsonian, National Jewish Museum, Corcoran Gallery of Art in Washington D.C., and in Mexico, Hungary, Switzerland, Italy, India and Germany, and other exhibition spaces. She is represented in numerous public and corporate collections in the United States and abroad, including: Citicorp, Exxon, the Museum of the City of New York, Indianapolis Museum of Fine Art, Ind., the Library of the Museum of Modern Art, NY, the Brooklyn Museum, NY, the Queens Museum of Art, Queens, NY, the National Museum of Women in the Arts, Wash. D.C., Tyler Museum of Art, Texas, King Stephens Museum, Hungary, El Archivero, Mexico, Health and Hospital Corp, NY, Sackner Archive, FL., University of California, LA, University of Alberta, Canada, University of Western Michigan, MI, University of Vermont, Vermont, Yale University in Conn., Florida Atlantic University, and George Mason University. Monica A. 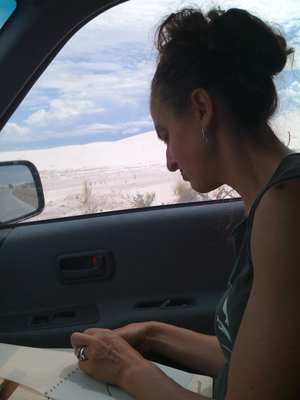 Hand is a mother, grandmother, writer, book artist and poet currently residing in Bronx, NY. She is formerly from the DC area where she founded and directed the Poetry Slam Academy, an in-school, after school and Saturday program for middle-school and high school youth interested in writing and performing poetry. She is the recipient of a Maryland State Arts Council Individual Artist Award and several Montgomery County, MD Humanities Grants. Monica designs unique artist’s books, chapbooks and blank books. She holds a MFA in Poetry and Poetry in Translation from Drew University, is a Cave Canem fellow and founding member of Poets for Ayiti a diverse collective of poets committed to the power of poetry to transform and educate. She is also a member of Alice James Book’s Cooperative Board. Samantha Y. Huang was born in 1985, in Changhua, Taiwan. She began studying business upon graduation from high school, but decided working in an office was not for her and quit after one semester. She subsequently moved to Vancouver, Canada where she studied English and began to take an interest in the Arts. Samantha was on the move again, this time relocating to London in 2008 to study Foundation and Design 2008/2009 at London College of Communication where she discovered an ability to transfer books into something new. Samantha takes inspiration from her experience of growing up surrounded by blueprints and drawings from her father’s construction and engineering business. Samantha is fascinated by lines, forms, shapes and texture. She likes to encourage her audience to experience her art via different senses rather than visual. 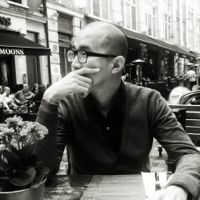 Owen W. Lee studied Visual Communication Design in BFA, Seoul and worked as a freelance Motion Graphic design for a year. In 2006, he founded graphic design studio, Sugarcandymountain, and worked as a creative director by 2011. During the time, he was mainly focused on graphic design and print based works. He is now studying MA Communication Design at Central Saint Martins College of Art and Design in London broadening his work into multidisciplinary areas such as sculpting, Interaction Design and Product Design. He has been trying integration between tactility, analogue and digital technology in design, literary and psychological approaches. Miriam Londoño studied art at the Antioquia University in Medellin, Colombia, and at the Arts Academy in Florence, Italy. 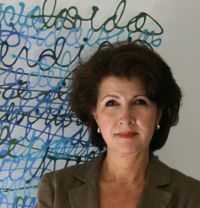 While she lived in Medellin, Londoño combined her work as an artist with being a Lecturer of Arts in the Faculty of Architecture at the National University. Ever since she graduated, she dedicated herself to painting and drawing. In recent years she has experimented a great deal with paper fibbers, developing a personal technique to write and draw with paper as if it were ink. Textile and writing have been Miriam’s sources of inspiration: textile as the underlying structure of things, and writing as a textile created by the continuous interlacing of words. Her work has been exhibited in many countries around the world. One of her calligraphic pieces was awarded two prizes while on show at the 2008 Paper Triennial in Switzerland. Currently Miriam Londoño lives and works in The Hague, The Netherlands. Carlos Soto-Román was born in Valparaíso, Chile. 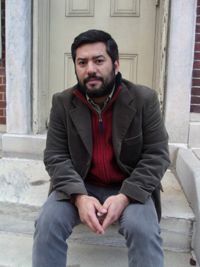 He is the author of “La Marcha de los Quiltros” (1999), “Haiku Minero” (2007), “Cambio y Fuera” (2009), “Philadelphia’s Notebooks” (2011) and the forthcoming chapbook “Con/Science” (2012). He is a translator and the curator of Elective Affinities, a cooperative anthology of contemporary U.S. poetry. He is also a pharmacist and holds a Master’s degree in Bioethics. He lives in Philadelphia, PA.
Nico Vassilakis works with both textual and visual alphabet. Recent books include Staring @ Poetics (Xexoxial Editions, 2011), West of Dodge (redfoxpress, 2010), Protracted Type (Blue Lion Books, 2009), staReduction (Book Thug, 2008), and Text Loses Time (Many Penny Press, 2007). 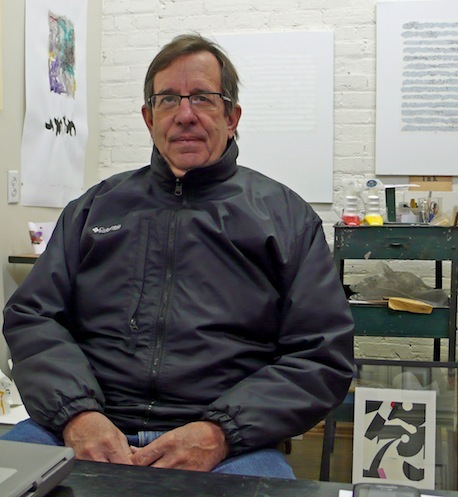 His Vispo videos have been shown at festivals and exhibits of innovative language art. He was a founding member of the Subtext Collective. Nico, along with Crag Hill, edited THE LAST VISPO: A Visual Poetry Anthology 1998 – 2008 from Fantagraphics Books (Fall 2012). Samples of Nico’s work can seen at http://staringpoetics.weebly.com. This mini-exhibition includes handmade, homemade and letterpress chapbooks, one-of-a-kind editions, and broadsides. The exhibit takes place the entire month of March in the Mortola Library at Pace University, Westchester. The sister exhibit takes place the month of May at Musehouse in Philadelphia. A reading and opening takes place Thursday, March 7th, at 12:20PM. 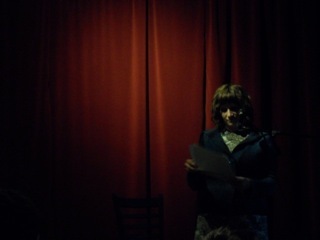 Monica Hand will read from her poetry collection Me and Nina (Alice James Books 2012) as well as new work. The location is the Birnbaum Room of Mortola Library. 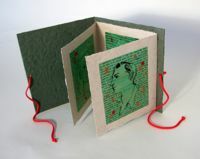 Artist, writer, and educator Monica Hand provides a bookmaking workshop Thursday, March 7th at 2:30PM. This will be the first time Japanese and Coptic binding are taught as part of the Handmade/Homemade annual exhibit and events. The location will be the Art Gallery in Choate House. The sister exhibit will take place in Philadelphia, at Musehouse during the month of May. The opening/reading information will be announced. Please visit this page for further information. Visit the Pace University Web site for directions to the Westchester campus. Vist the Musehouse Web site for directions to their Philadelphia location. For additional questions on the events, please email dpoe@pace.edu. Work by Cynthia Arrieu-King, Scott Helmes, Melanie Bush, Geof Huth, Pamela Paulsrud, and student exhibitors. Geof Huth Every Poem Ever Written: 3. not It and Pamela Paulsrud’s Touchstones. Cynthia Arrieu-King is an assistant professor of Creative Writing at Stockton College in New Jersey. 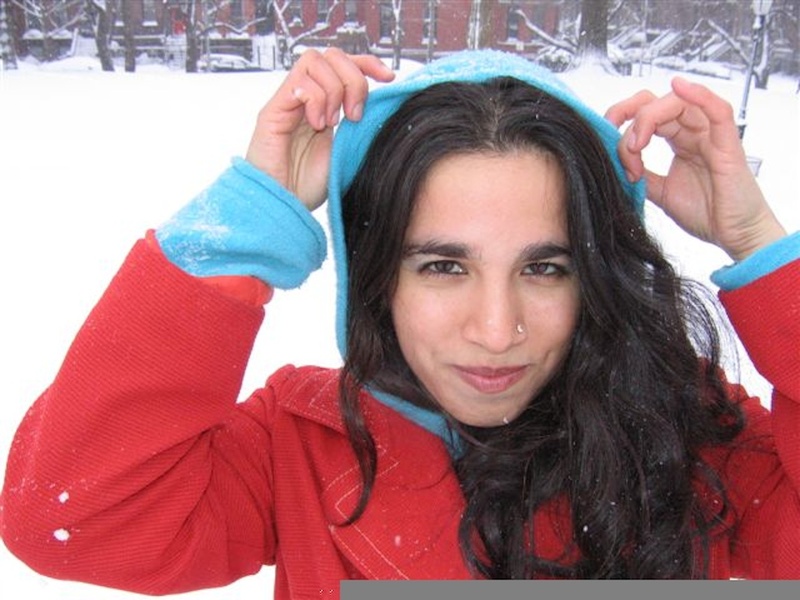 Her work has appeared or is forthcoming in Boston Review, Witness, and Jacket. Her book People are Tiny Paintings of China was released from Octopus Books in 2010. She lives near some casinos and the sea. Melanie Bush is a UK book artist and senior lecturer in Graphic Design and Illustration at the University of Northampton, UK. 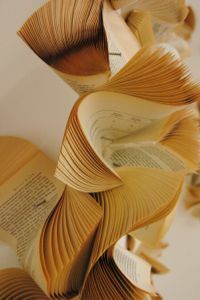 She is the co-founder with Dr. Emma Powell of book arts collaborative we love your books http://www.weloveyourbooks.com. She and Dr. Powell collaboratively curate a yearly themed international and experimental artists’ book exhibition. Exhibitions are ‘not for profit’. Melanie came to book making to communicate therapeutic stories for/about adopted children, she extended this work with social workers in creative workshops. 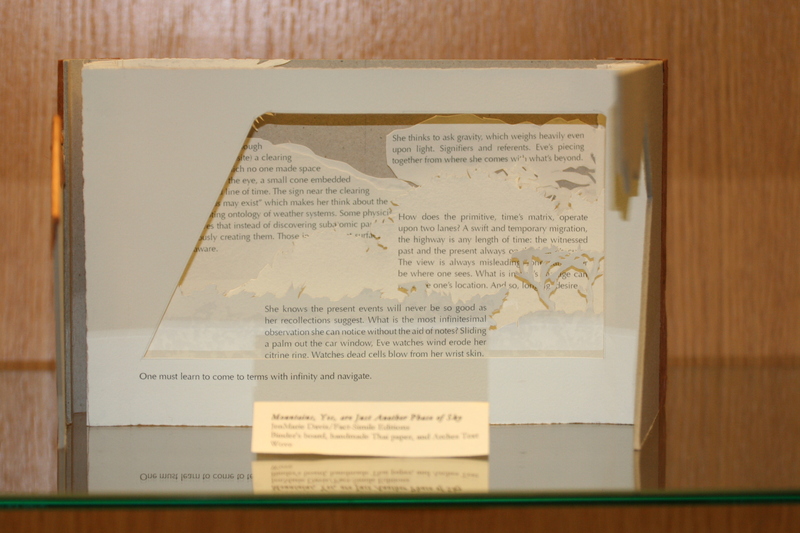 In 2006 Melanie started a Special Collection of Altered and Artists’ Books for The Library, The University of Northampton for which she regularly acquires books at Artists’ Book Fairs. 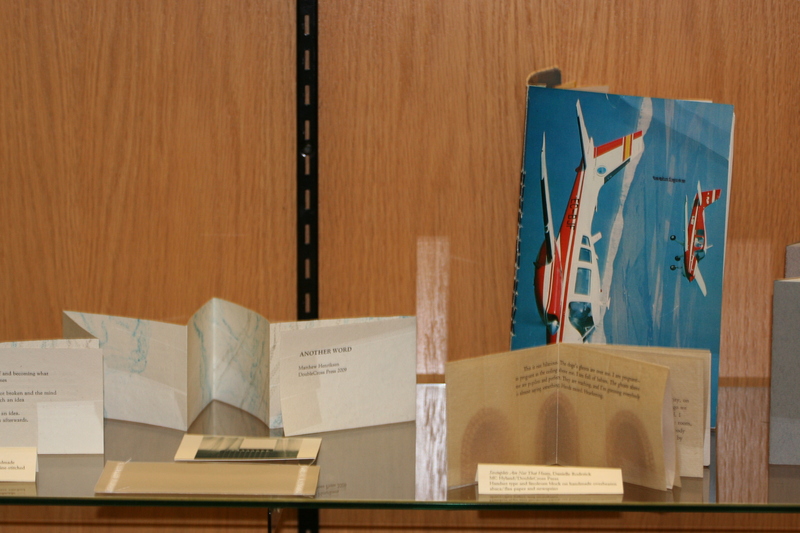 Melanie has Artists’ Books in national and international Collections; such as the Tate Library, London; The State Library of Queensland, Australia; Bower Ashton Library, Bristol School of Creative Arts,UK. 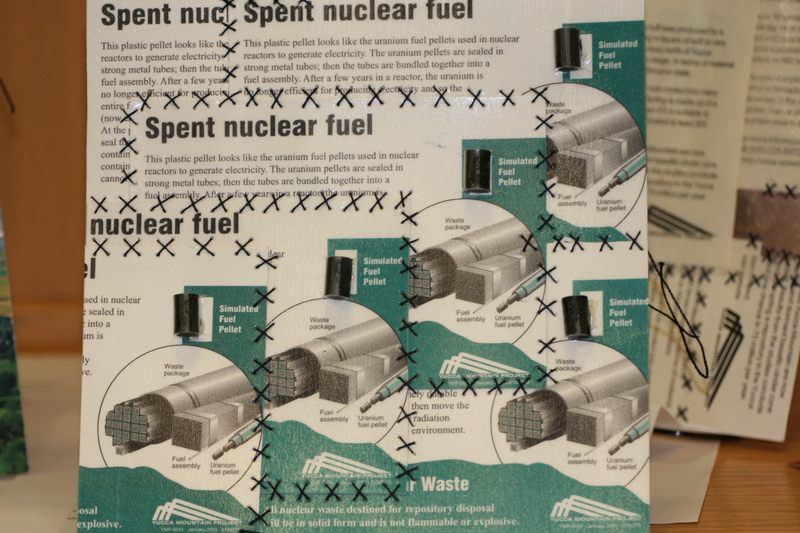 JenMarie Davis is half of Fact-Simile Editions and builds books and poems from recycled and reclaimed material. 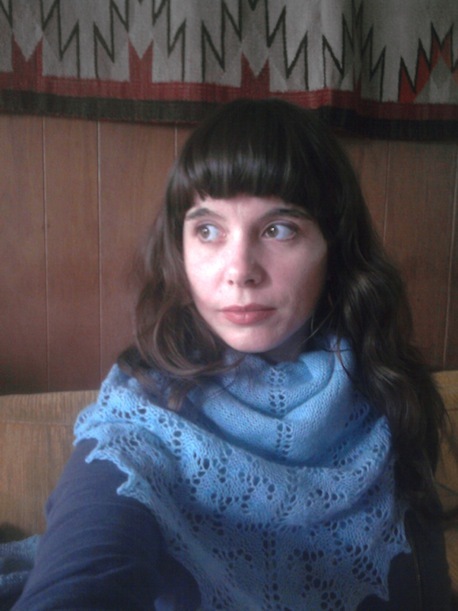 She is the author of Sometime Soon Ago (Shadow Mountain, 2009) and her work has recently appeared in or is forthcoming from Drunken Boat; Elective Affinities; Starlight, Philadelphia; Interim; Summer Stock and Gargoyle. 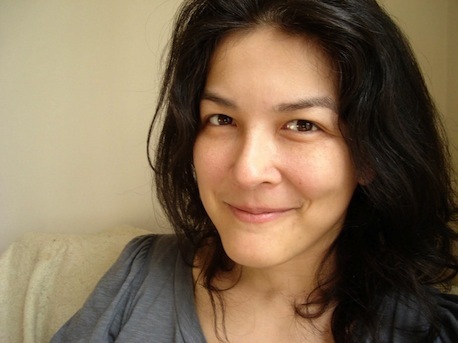 Michelle Detorie is a writer, artist, editor, and educator. Her publications include the poetry chapbooks Fur Birds (forthcoming from Insert Press), Feral Scape (Dusie, 2011), Ode to Industry (Dusie/Playful Rectangle, 2009), Bellum Letters (Dusie 2008), A Coincidence of Wants (Dos Press, 2007), Daphnomancy (Small Chapbook Project, 2007), and How Hate Got Hand (eohippus labs, 2009), a collection of prose pieces about interspecies relationships and seabird rescue. Her visual and hypertext poetry have appeared in various publications and have been included in the Infusoria and Zaoem exhibits. She lives in Goleta, California. 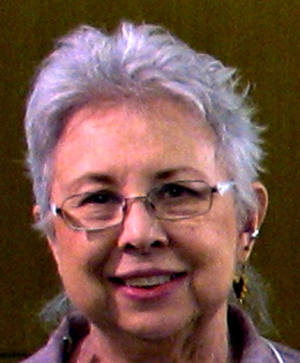 Joan Fiset is a writer and therapist in Seattle, WA. Her book of memoir prose poems, Now the Day is Over (Blue Begonia, 1997) won the King County Publication Award. “After” was a finalist in the 2008 Floating Bridge Chapbook competition. She has completed a ms. “Washing Clothes in Moonlight: The War Stories of Xuan Ngoc Nguyen,” introduction by Yusef Koumunyaka, in collaboration with Xuan. Her poems have appeared in Tarpaulin Sky, Wave Books, GenPop Books/No Contest, The Bedazzler, Floating Bridge Review Number Four, and elsewhere. 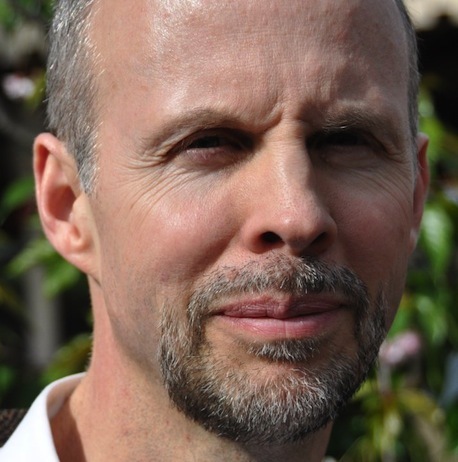 Scott Helmes is a poet, book artist, writer, artist, and photographer. His work has been collected and exhibited worldwide, along with being published for over 35 years. In the past two years, work has been shown and published in Israel, Russia, England, Cuba, India, Finland, Japan, Hungary, Canada. and the US. Work will be shown in 2012 in upcoming exhibits at the Plains Art Museum, Pace University, Gallery at R&F Paints, Chicago Cultural Center, and the Plain Project in Tel Aviv. Katy Henriksen convinced her husband Matthew Henriksen to make a handbound journal of poetry instead of doing the whole side-stapled on 8 1/2 by 11 in. 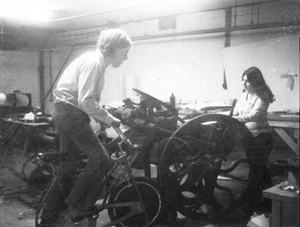 photocopies thing and that’s when Cannibal Books was born. That was in Greenpoint, Brooklyn, in the winter of 2006 and she’d never done a screen print or handbound anything. In 2012 she is now living in the Arkansas Ozarks and there are five exposed stitch with screen printed cover volumes of Cannibal, the annual of poetry, twenty limited edition chapbooks, and one issue of Narwhal, a collection of seven chapbooks bound as one. Cannibal Books went into hibernation but is not dead. Cannibal Six will be released in 2013. The entire catalog is out-of-print but can be viewed online at flesheatingpoems.blogspot.com (sorry covers only). In addition to her handmade books obsession she is also a book jacket designer for commercial presses, a classical music and arts producer for KUAF 91.3 FM NPR, and the music editor for The Rumpus (therumpus.net). Much of her work can be viewed at her tumblr:helloloretta.tumblr.com. Charles Hobson uses monotypes and printmaking variations to construct images for books and works on paper. He has been a member of the faculty of the San Francisco Art Insitute since 1990 and his work is in the collections of the Museum of Modern Art, the New York Public Library, the Whitney Museum, and the National Gallery, among others. Usually following literary or historical themes, his work have covered topics as diverse as famous couples who met in Paris (Parisian Encounters) and Mark Twain’s imaginary diaries of Adam and Eve. 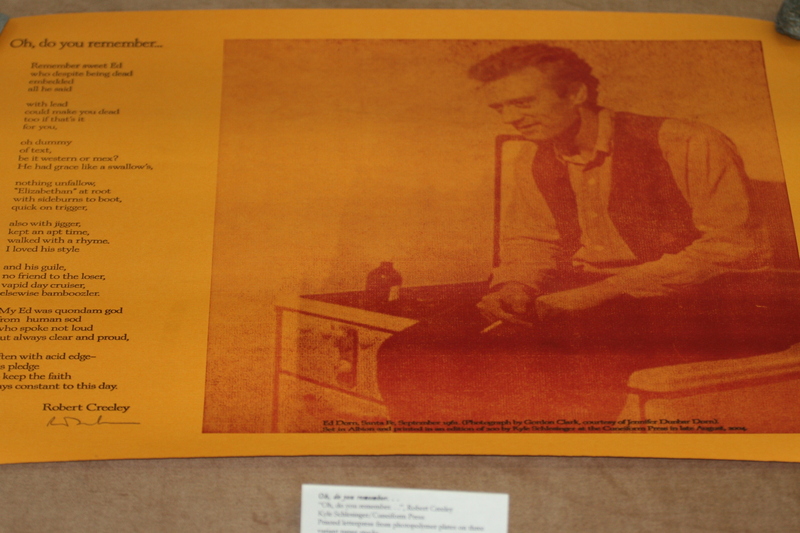 His archive has been recently acquired by Stanford University. Geof Huth‘s poetry consists of one-word poems, poems written in unintelligible scripts, poems painted onto canvas or assembled within boxes, poems spoken or sung and audio- or video-recorded during the moments of their creation, poems created within nature and left to disappear back into it, and even syntactic text separated into lines. 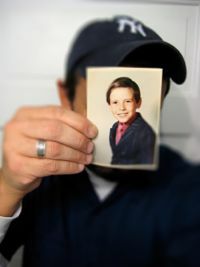 He writes frequently about poetry, visual and otherwise, at his blog, dbqp: visualizing poetics. Each of his poetry performances attempts to use his entire body fully to examine the limitations of poetry. His latest books are ntst: the collected pwoermds of geof huth published by if p then q of England, a book of 775 one-word poems, and AUTION CAUTION, a set of found and manipulated photopoems published by Redfoxpress of Ireland. 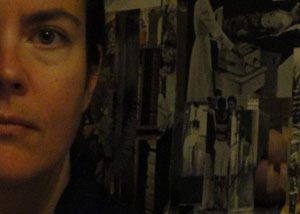 Jill Magi is the author of SLOT (Ugly Duckling Presse), Cadastral Map (Shearsman), Torchwood (Shearsman), Threads (Futurepoem), and the chapbooks Die for love, furlough (In Edit Mode Press), Poetry Barn Barn! (2nd Avenue), Confidence and Autonomy (Ink Press), Cadastral Map (Portable Press at Yo-Yo Labs), and numerous handmade books. Her visual works have been exhibited at the Textile Arts Center, the Brooklyn Arts Council, apexart, AC Institute, and Pace University. In 2011, she was an artist-in-residence at the Textile Arts Center, and was a writer-in-residence with the Lower Manhattan Cultural Council in 2006-07. Jill runs Sona Books and teaches at Goddard College. Sawako Nakayasu was born in Japan and has lived mostly in the US since the age of six. Her most recent books are Texture Notes (Letter Machine, 2010), Hurry Home Honey (Burning Deck, 2009), and a translation of Kawata Ayane’s poetry, Time of Sky//Castles in the Air (Litmus Press, 2010). Her translation of Takashi Hiraide’s For the Fighting Spirit of the Walnut (New Directions, 2008) received the 2009 Best Translated Book Award from Three Percent. 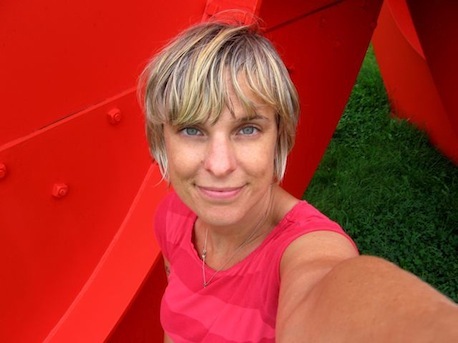 Pamela Paulsrud is a visual artist recognized internationally as a papermaker, calligrapher, book artist, and collaborator creating both intimate pieces and large-scale installations. Her exploration in energy and vibration, letters and lines, her love of the land, the earth and it’s resonance, inspires both her work and her life. She also continues her research and practice in energetic healing modalities—which simultaneously informs her art. She received her MFA from Columbia College Chicago in Interdisciplinary Arts concentrating in Book and Paper. 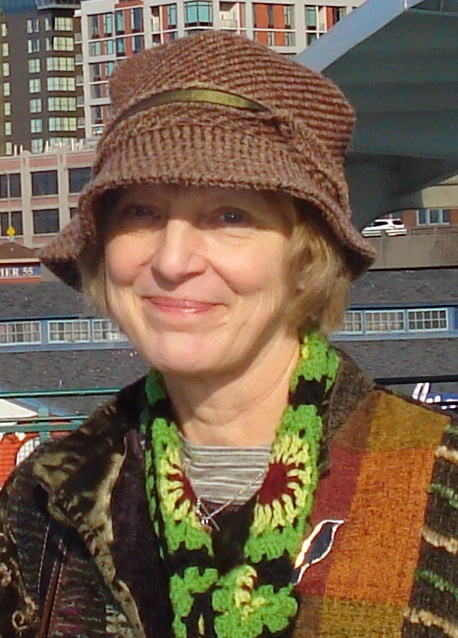 Pamela’s work has been published in many magazines, books, and journals including 500 Handmade Books; Calligraphy and Handmade Paper; Brush Lettering; Making Memory Books by Hand; Exploratopia; Living Artists; Collage, Assemblage, and Altered Art; and several issues of Letter Arts Review. Her work is in many private collections as well as the Special Collections at the University of California, San Diego, CA; the Allan Chasanoff Bookworks Collection, New York, NY; Topeka & Shawnee County Library Special Collections, Topeka, KS; Columbia College Chicago Center for Book and Paper, Chicago, IL; Oberlin College Art Library, Oberlin, OH; and Special Collections at the Newberry Library, Chicago, IL. 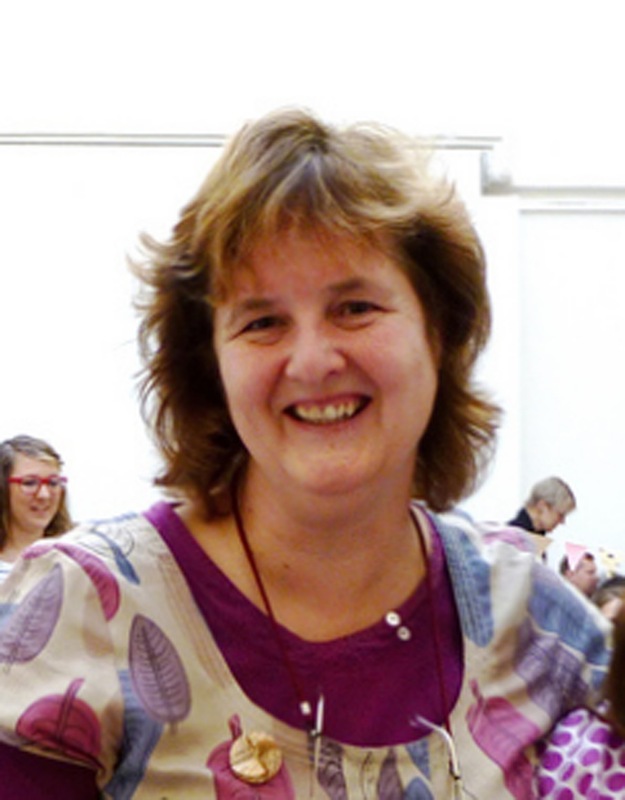 Pamela teaches workshops in lettering and book arts. She exhibits her work internationally and collaborates with professional artists and the general public on an evolving project entitled Treewhispers. The project encompasses handmade paper, art and stories relating to trees as a symbol and resource. 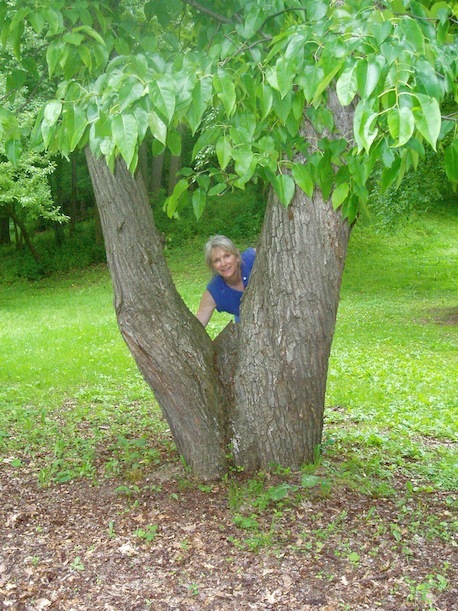 Information and updates are shared at http://www.treewhispers.com and on her personal website http://www.pamelapaulsrud.com. Bushra Rehman’s mother says Bushra was born in an ambulance flying through the streets of Brooklyn. Her father is not so sure, but it would explain a few things. Bushra was a vagabond poet who traveled for years with nothing more than a greyhound ticket and a bookbag full of poems. Her work has been featured on BBC Radio 4, KPFA, New York Times, India Currents, Crab Orchard Review, Sepia Mutiny, Color Lines, Mizna, and in numerous anthologies. Bushra is co-editor of Colonize This! Young Women of Color on Today’s Feminism. Her novella Bhangra Blowout is forthcoming through Upset Press. www.bushrarehman.com. Student exhibitors this year include Melissa Capozzi, Patrick Corr, Maureen Fitzgerald, Tammy Mora, Olivia Ann Richardson, Jenna Solomon, Jenel Vales, and Christine Yaconis. This mini-exhibition includes handmade, homemade and letterpress chapbooks, one-of-a-kind editions, and broadsides. The exhibit takes place the entire month of March in the Mortola Library at Pace University, Westchester. The sister exhibit takes place from mid-March to late April at Kelly Writers House. A reading and opening take place Tuesday, 22nd at 12:20PM. Readers include JenMarie Davis, Bushra Rehman, and Jill Magi. 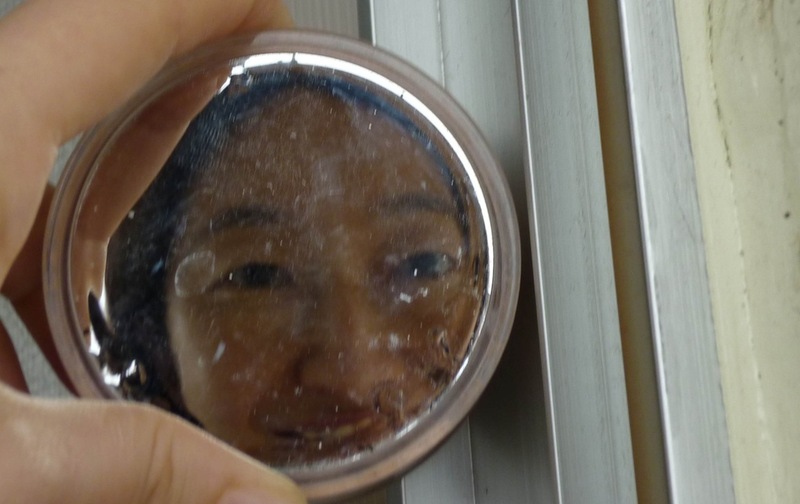 We will also be showing video from artist and writer Sawako Nakayasu as well as images from the Drunken Boat Handmade/Homemade Book Arts Folio of Issue 15, curated by Dr. Deborah Poe. The event takes place in Gottesman Room of Kessel Student Center. Artist, writer, and educator Jill Magi provides a bookmaking workshop Thursday, March 22nd at 4:30PM in Mortola Library’s Birnbaum Room. The sister exhibit will take place in Philadelphia, at Kelly Writers House, from March 12th through late April. The opening/reading will be March 14th. Readers will be announced. Please visit this page for further information. Visit the Pace University Web site for directions to the Westchester campus. Vist the Kelly Writers House Web site for directions to their University of Pennsylvania location. For additional questions on the events, please email dpoe@pace.edu. 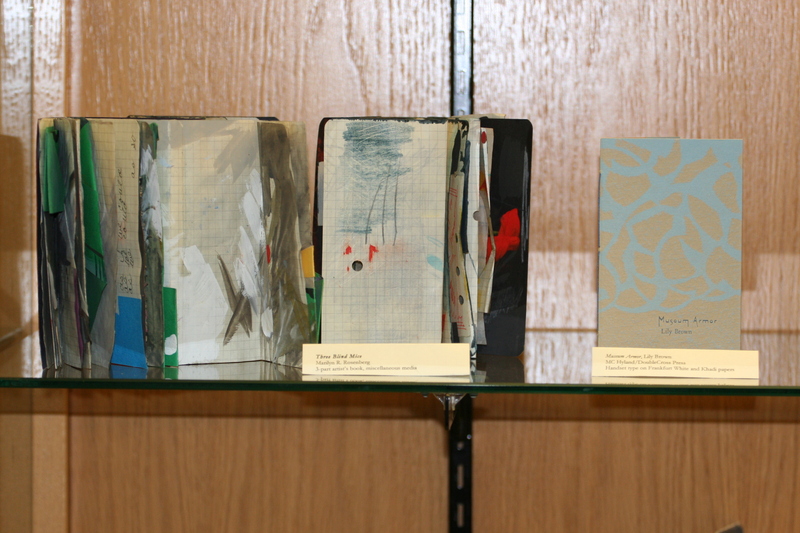 The permanent new special collection of Homemade/Handmade books has been installed at Pace University, Westchester, in Mortola Library. The books were donated by past contributors/exhibitors of the Handmade/Homemade annual exhibit and are now housed on the second floor of Mortola in a beautiful new case at the top of the stairs. Every March, Pace hosts a month-long exhibition of 10-15 new writers and artists (https://handhomemade.wordpress.com/). 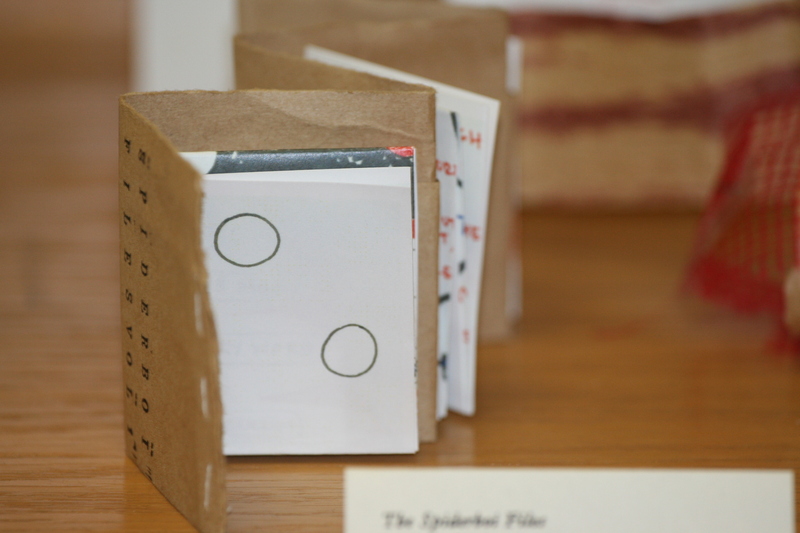 Each year, after the annual exhibit of homemade/handmade books at the Mortola library, a few more books from the exhibition will be added to the special collection. The library creates a record for each of the books in our catalog. The “location” in the catalog indicates Homemade/Handmade collection. There is link for the Handmade/Homemade Collection under “Special Collection” on our library home page. Thanks to Harriet Huang, Reference Librarian/Collection Development Librarian, for all her work on bringing the special collection to fruition. Below are some of the photographs from this year’s Handmade/Homemade Exhibit. More photographs of the 2011 exhibit can be found here. A reading and celebration of the work takes place Tuesday, March 1st at 12:20PM in Butcher Suite, Kessel Student Center, Pace University Westchester. Readers include JenMarie Davis, Jen Hofer, MC Hyland and others to be announced. 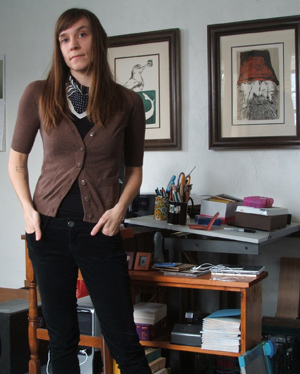 Artist, writer and educator Jen Hofer provides a bookmaking workshop Tuesday, March 1st at 1:25PM in the Art Gallery of Choate House, Pace University Westchester. Please visit this page for further information. Visit the Pace University Web site for directions to the Westchester campus. For additional questions on the events, please email dpoe@pace.edu. 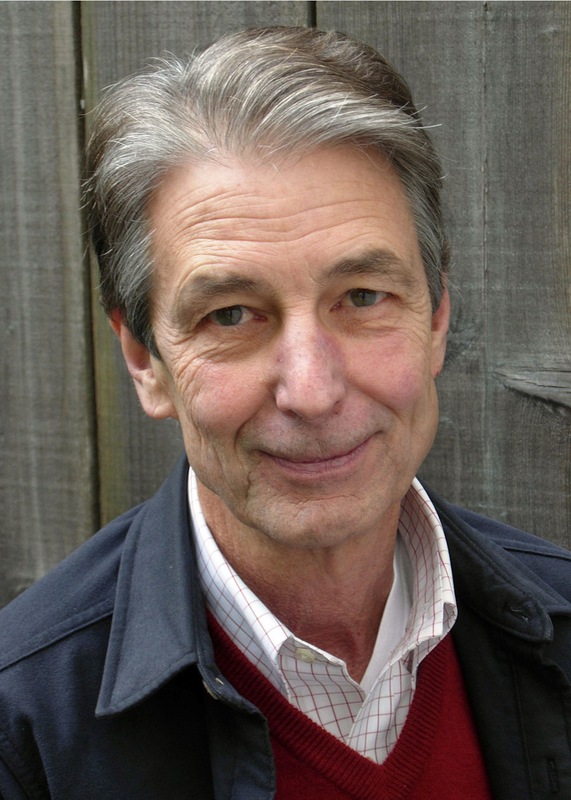 The 2011 Chapbook Festival, hosted by The City University of New York, takes place March 2-5. Join some of the Handmade/Homemade exhibitors at some of the events during this four-day festival. 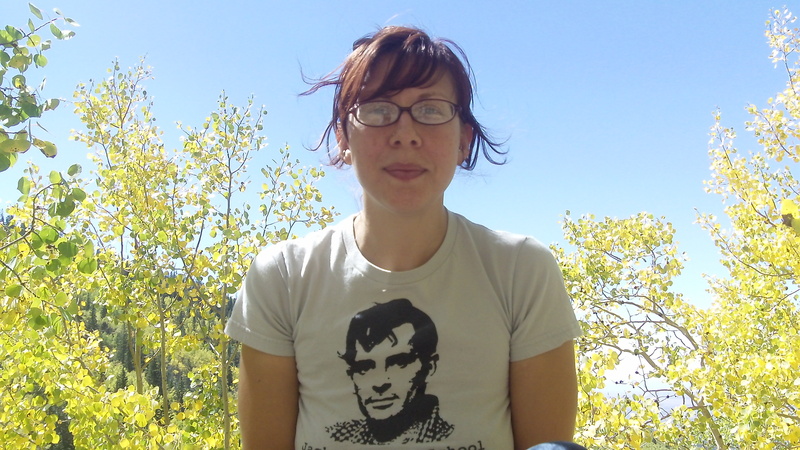 Elizabeth Colen is the author of prose poetry collection Money for Sunsets (Steel Toe Books, 2010) and forthcoming flash fiction chapbook Dear Mother Monster, Dear Daughter Mistake (Rose Metal Press, 2011). 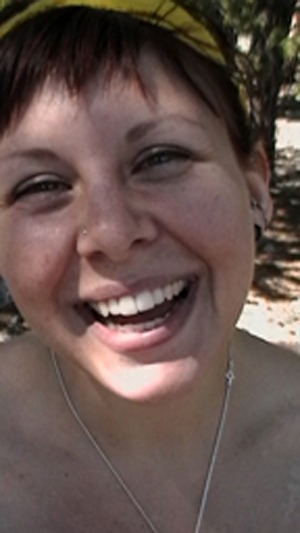 She resides in the Pacific Northwest, is poetry editor of Thumbnail Magazine, and occasionally blogs at http://www.elizabethjcolen.blogspot.com. 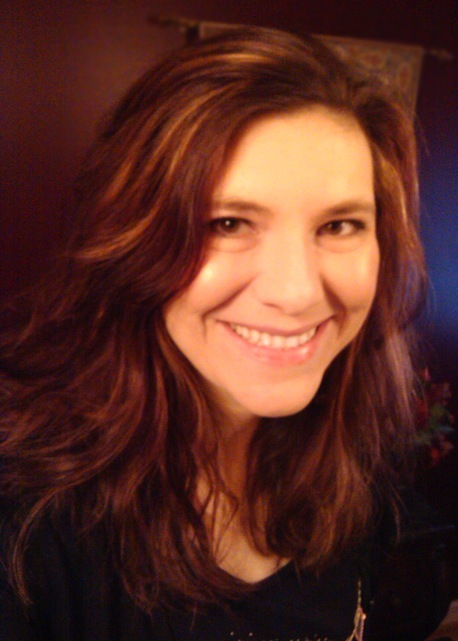 JenMarie Davis‘ work has been published in journals such as Little Red Leaves, Court Green, Glitterpony, Going Down Swinging and is forthcoming from Gargoyle. She has a chapbook Sometime Soon Ago (Shadow Mountain Press 2010) and is half of Fact-Simile Editions. E.B. Goodale is a Boston based artist, printmaker and bookmaker. She is the proprietor of Brave Men Press, a publisher of chapbooks, miniature broadsides and various other letterpressed ephemera. She studied illustration and printmaking at Massachusetts College of Art. When she is not printing and binding books, she works as a freelance illustrator and as a letterpress operator for a design company in Charlestown, MA. Jen Hofer is a Los Angeles-based poet, translator, interpreter, teacher, knitter, book-maker, public letter-writer, and urban cyclist. Her most recent books are a series of anti-war-manifesto poems titled one (Palm Press, 2009); sexoPUROsexoVELOZ and Septiembre, a translation from Dolores Dorantes by Dolores Dorantes (Counterpath Press and Kenning Editions, 2008); The Route, a collaboration with Patrick Durgin (Atelos, 2008); lip wolf, a translation of lobo de labio by Laura Solórzano (Action Books, 2007); and Sin puertas visibles: An Anthology of Contemporary Poetry by Mexican Women (University of Pittsburgh Press and Ediciones Sin Nombre, 2003). Her forthcoming books are a translation of Mexican poet Myriam Moscona’s Ivory Black (Les Figues Press), a translation of Guatemalan poet Alan Mills’ Síncopes (Piedra Santa), and the poem sequences from the valley of death and Laws. Recent poems and translations have appeared in Aufgabe, Mandorla, Or, out of nothing, and Punto de partida. She teaches at CalArts, Goddard College, and Otis College, and works nationally and locally as a social justice interpreter. MC Hyland’s first full-length book of poems, Neveragainland, is newly out from Lowbrow Press. Her chapbooks include Every Night In Magic City (H_NGM_N, 2010), Residential, As In (Blue Hour Press, 2009) and (with Kate Lorenz and Friedrich Kerksieck) the hesitancies (Small Fires Press, 2006). 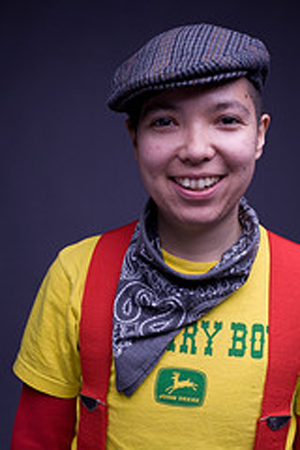 She lives in Minneapolis, where she runs DoubleCross Press and the Pocket Lab Reading Series, and works as an administrator and occasional letterpress instructor at the Minnesota Center for Book Arts. 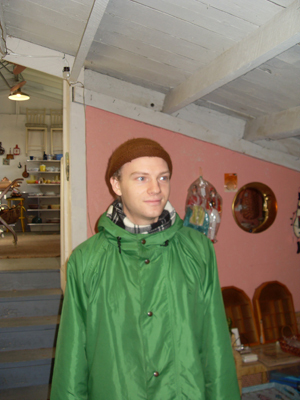 Sam Lohmann is a poet who works at a preschool in Portland, Oregon. He edits a chapbooklike magazine, Peaches and Bats, and with David Abel coedits the Airfoil chapbook series. He does letterpress printing using handset type at the Independent Publishing Resource Center (iprc.org), and is part of the Spare Room reading series collective. Jai Arun Ravine is the author of the chapbook Is This January (Corollary Press, 2010) and a Kundiman fellow. The Spiderboi Files, Volume 1 is a handmade chapbook containing five panels from a larger project that chronicles my relationship with gender and the early stages of my gender transition. Initially inspired by kari edwards’ a day in the life of p., each piece began as a cut-up poem that was later inked onto a panel and folded into a palm-sized zine. For more information on the project, please visit http://jaiarunravine.wordpress.com/spiderboi/. Photo credit: Christine Pan and Mia Nakano Photography. Marilyn R. Rosenberg is a visual poet and an artists’ book creator: draftsperson and printmaker, a small press and a unique sculptural bookworks maker. There are 30+ small editions of artists’ books, 100 + unique titles of sculptural bookworks and many drawings/visual poems, a few of each with collaborators. Works can be found in approximately eighty university, college, and museum libraries and/or collections worldwide. Rosenberg has been involved in over 200 international group exhibits since 1977. Recent titles include this is visual poetry (Naissance, March 2010), a 16-page chapbook; 56-page visual poetry artists’ book, etceteras (Luna Bisonte Prods, February 2010); visual poem as a 56-page artists’ book, RED (Otoliths, 2008). Many works can be seen on the web, for example in Otoliths (southern autumn, 2010) and a few works at The Center for Book Arts. Kyle Schlesinger publishes and lectures on topics related to poetry, visual communication andartists’ books. For nearly a decade he has been the proprietor of Cuneiform Press, a nonprofit publisher specializing in poetry, artists’ books and typography. With Steve Clay, he curates the Threads Talk Series, devoted to the art of the book and available on PennSound, and with Jed Birmingham, he edits Mimeo Mimeo, a biannual forum for critical and cultural perspectives on the mimeo revolution. Kyle Schlesinger is the author of four books of poetry, three artist’s books, and an exhibition catalogue for the Perishable Press’s retrospective at the Grolier Club as well as an exhibition catalog for Poems & Pictures, an exhibit he curated for the Center for Book Arts in NYC, 2010. Critical articles have appeared in Parenthesis, The Chicago Review, Jacket, Artists’ Book Yearbook, and The Journal of Artists’ Books. More at: http://www.kyleschlesinger.com. Patti White is Director of Publications for and co-founder of Slash Pine Press with Joseph P. Wood. 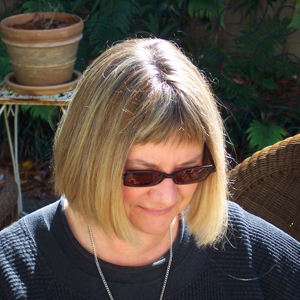 She is the author of two collections of poetry, Tackle Box and Yellow Jackets, both from Anhinga Press. She currently teaches creative writing and contemporary American literature at The University of Alabama.